'Redeployment' refers to the reallocation of roles within a department or organisation. In many ways, it is similar to the recruitment process, but with a greater volume of first-hand information available about potential candidates. 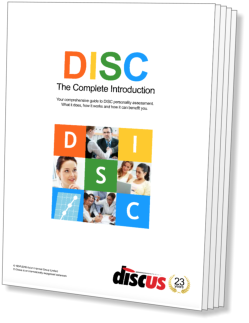 If the organisation is a regular user of DISC-based assessment, then this information will include DISC profiles. This can be of great help in identifying the right candidate for the right role. In this context, there are two main types of redeployment, which we have christened 'organisational' and 'individual'. There are significant differences of approach applicable to each of these, and so we will examine each individually. This term describes situations in which new positions or roles are opening up within an organisation, roles that should ideally be filled by existing members of that organisation. A prerequisite of the use of DISC in helping to find the right person for a new role is a clear idea of the behavioural requirements for the new position (a Job Profile). Clearly, to examine the suitability of a number of different candidates, a DISC profile for each will also be necessary. By comparing the DISC factors of the candidates against the stated ideal, an idea of the most suitable individual(s) can quickly be built up. If some sort of automated matching facility is available (and this effectively means a computerised DISC system) it becomes practical to assess all existing members of an organisation against the requirements of the new position. Where only paper-based records are available, the options will be more limited - in this case, it is usually necessary to draw up a shortlist on other criteria before embarking on the matching process. Individual Redeployment is typically far less common than its counterpart. This term describes the situation where a particular person or group needs to be relocated within an organisation. This will normally be because their current roles are becoming redundant, but other reasons for Individual Redeployment may also arise from time to time. In DISC terms, this process is effectively the reverse of Organisational Redeployment. Instead of matching a number of candidate profiles against an individual Job Profile, a number of Job Profiles representing the available posts will need to be matched against only a few candidate profiles. This fact means that the use of assessment in this field is more difficult to achieve than Organisational Redeployment. This is because most DISC users maintain files of recruited candidates' DISC profiles, but very few possess a complete set of Job Profiles covering every role within their organisation. Such a database of Job Profiles can bring real advantages, but the practical limitations to its construction will usually mean that it is only achievable by a computerised DISC system.